Coconut Water brand VitaCoco certainly strikes out to be different -- and memorable -- in a new campaign out of Droga5 London. 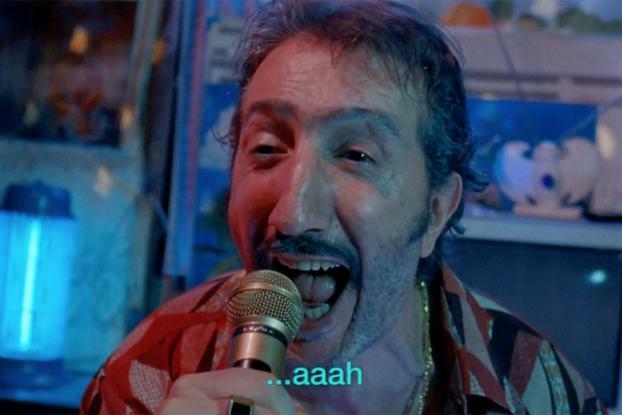 Filmed in a Bangkok bar, it features a passionate karaoke singer (played by French character actor Hocine Choutri) whose rendition of Celine Dion power ballad "It's All Coming Back to Me Now" is helpfully given phonetic subtitles for the viewer. That's because he's literally singing it without any regard for the actual lyrics (so the final line is translated as "Buddi so Camembert tuminah"). It's both bizarre and hilarious. But just what does all this have to do with VitaCoco? Well, the commercial closes with the tagline "However you do it, Just Get Thirsty," as we see our singer taking a swig of coconut water. The spot will run in the U.S. and Europe, starting this month.